A force to be reckoned with, Betty Chen, who at age 92 is oldest person in our Tatler 300 list, shows no signs of slowing down. Most recently, she hosted a brunch for 18 friends from California and organised a Crazy Rich Asians-inspired tour of Singapore and Malaysia. These Asian-Americans are huge fans of the novel and film–and some even know Jon M. Chu’s dad who also lives in California. They wanted to explore Singapore while paying homage to Kevin Kwan’s novel. 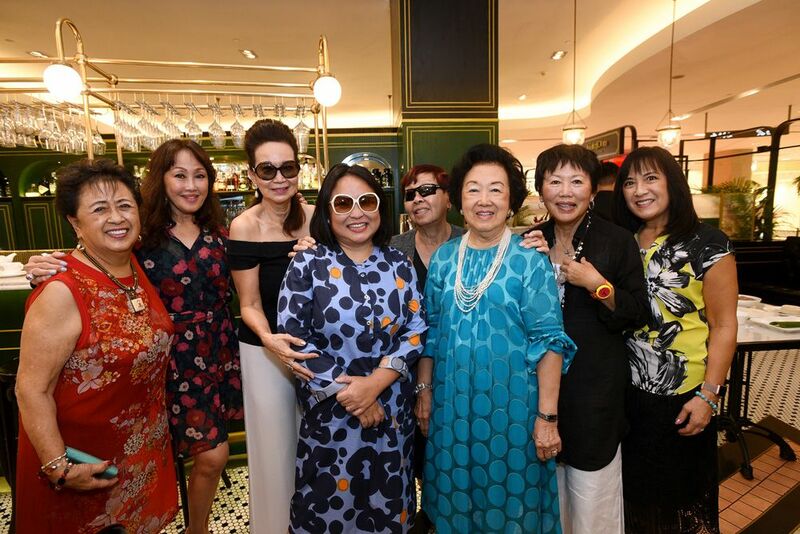 So Betty gathered her closest friends, including Selena Tan (who plays Alix Young in the film, the youngest aunt to Nick), Peggy Jeffs, Celeste Basapa and Maniza Jumabhoy, to showcase the best of Singapore, Crazy Rich Asians style. And this included a hearty Singaporean brunch at Violet Oon's Ion Orchard outpost with, of course, a dumpling wrapping session (we even scored the recipe). If that wasn’t enough, guests got to wrap and experience popiah, too. Alongside these iconic Singaporean dishes, Violet Oon served up a delectable spread that checks the boxes of every tourist: kuay pie tee, dry laksa, beef hor fun, curry chicken with roti jala, kaya toast and pineapple tarts. The guests lapped it up, but to be honest, the Singaporeans (including us) were even more thrilled.